If anyone can help, thanks. STM. Did you know a prominent scientist who first identify dinosaur teeth and laid the grounds for natural selection, was beatified in 1988? He also discovered the fact that stuff found in rocks could be dated as existing before human beings. He converted from Lutheranism to Catholicism. Blessed Nicholas Stenor is a man to be reckoned with both intellectually and spiritually. He was a geologist and discovered attributes of crystals as well. Google did a Google doodle for him two years ago. Known as the father of stratigraphy and geology, Nicholas Steno worked to understand history by what he could find in the ground. Rather than simply write books about his findings, Steno opted to do his own hands-on research. 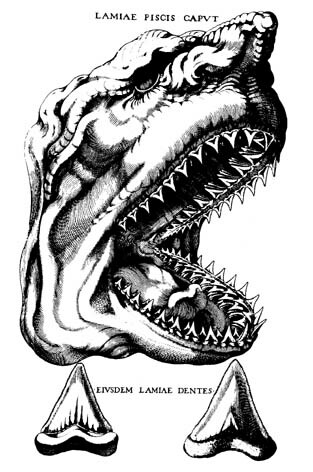 As an innovative thinker, he disagreed with his contemporaries in thinking that shark-tooth-shaped objects found imbedded in rocks "fell from the sky." Instead, Steno argued that these formations were fossils. His dedication to analysis, critical thinking, and creative thinking make him a great subject for a Google doodle! I feel like this today....love the Japanese. More here and pray for our brothers and sisters in Christ abroad. Would you not want someone to pray for you under these circumstances? Our Blessed Mother could accept the message of Gabriel for one reason. She was pure of heart, mind, and soul from the moment of her conception. The Immaculate Conception, the most perfect person ever created by God, had been prepared from the moment of her existence for this day. To be called to be the Theotokos, Mary was set aside among all women. She is "full of grace". We cannot be like Mary, as she is unique. But, we can be holy as God has called us to be holy. We can cooperate with grace to the extent that God created us to do so. All saints are not equal. There are great saints, like SS. Bernard of Clairvaux, Therese of Lisieux, Catherine of Siena, Padre Pio, Augustine. There are small saints like Blessed Margaret of Castello, Pier Giorgio Frassati, Tarcisius, Dula. We can be the saints God has called us to be only if we allow Him to take away all sin and tendencies towards sin. Is this impossible? No, but we may fail now and then at first. The call to being in union with God demands work and attention. Those of us who were born in Original Sin, unlike Mary, Our Mother, must be humbled. She is our model, but as the Queen of Saints, she is far above us, and we can only sit and her feet and learn from her how to please God. She is the greatest woman ever created and the New Eve, set on earth to bear the New Adam, Christ, the God-Man. By one man sin came into the world, and by One Man came salvation. Christ, the Second Person of the Blessed Trinit.y came from a perfect woman and from God the Father, through the Holy Spirit, to be Incarnated on earth. Christ, with the Trinity from all ages, at one time in history, became a tiny embryo in the womb of Mary. We can hardly grasp the meaning, the reality of the Incarnation. But, Mary did. She said "Yes" as she had been prepared from all time for this moment. and by the Holy Spirit was incarnate of the Virgin Mary, and became man. and rose again on the third day in accordance with the Scriptures. The Theotokos, the God-Bearer, deserves our honor and praise. She is not merely the best of women, she is The Woman, called from all time, to be the Mother of God. 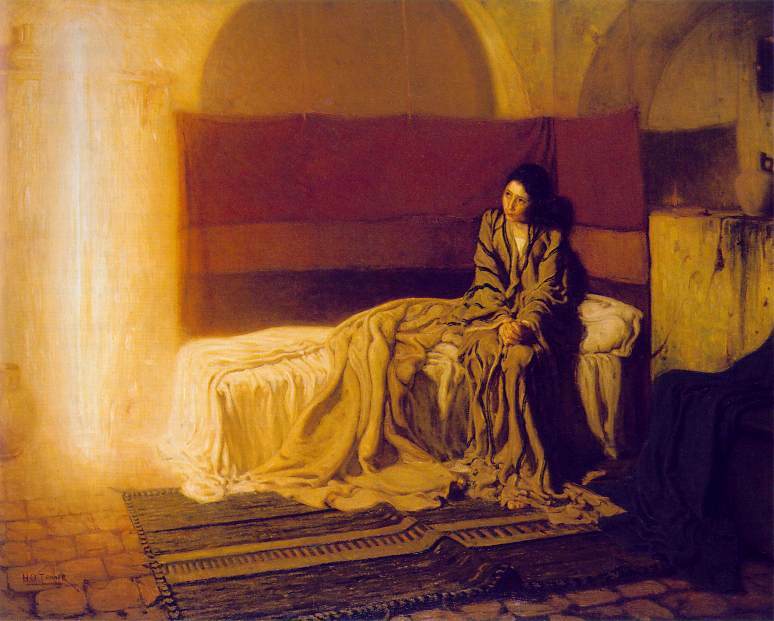 May we ask her today to lead us to Christ and to cooperate with grace to become saints. May that be the grace for each of us today. The women's liberation movement is indeed evil. But, the feminization of men happened much earlier than the 1960s. The great storm of forty years ago was a result of the emasculation of men which had happened as early as three generations before 1960. What weakened men over the centuries was not the uprising of women in the '60s and '70s, but the result of two world wars and the selfishness of the new generations of peter pans. If one looks at the history of the family, the male leadership of the family became undermined at the latest in World War I. The First World War killed off the old aristocracy. The First World War killed off thousands of good Catholic men.. The best and the brightest men of Europe were killed in that unnecessary war. The cream of the crop of men from all the European nations died going over the trenches. The Jazz Age revealed a "Lost Generation" of men who acted like peter pans, refusing to get married and playing until they died. Contraception grew up in the 1920s and 1930s. In fact, the Anglican Church approved contraception at the 1930 Lambeth Council. The men who were marrying and not marrying could be Christians and expect women to contracept. Men took the lead at the Lambeth Council. Men decided on contraception there, and in the other Protestant denominations. In 1970, the Presbyterian church allowed contraception and abortion. In 1970, the Lutheran Church of America accepted contraception and abortion. In 1977, the UCC accepted both. Except for the Presbyterians, there were no female "clergy" at these times. All these decisions came from men, who were voting to destroy the family. One of the missing ingredients in those who blame the feminist movement for such evils is this history and the fact that many men came back from both World War I and World War II not wanting anything to do with discipline or authority. Peter pans existed a plenty in the 1960s. The generation of peter pans grew up in the 1902s and 1930s first. Many women in that age group failed to find strong men as husbands, as the damage was done earlier. Boys were not trained to be like their fathers, or worse, they rebelled against strong fathers, leaving the women without protectors. This pattern repeated itself in the 1950s aand 1960s. How many dads told their daughters not to wear mini-skirts, or not to be out late; not to go to pubs, or not to date weak men? Few...very few dads really were involved in their daughters' lives in these times. Dads no longer looked out for suitable mates for their girls, letting females fend for themselves in this important decision. Few brothers watched out for the good of their sisters, instead, not growing up themselves, not taking responsibility in being protectors. Women were rebelling against weak men, as well as those who abused their roles in the families. Did satan jump in and push the feminist agenda? Of course. But, the evil began with the abdication of men as real leaders in the family and in the Church. To blame women is like Adam blaming Eve. It is not the sin of Eve for which we and Christ Himself suffered, but the sin of Adam, who refused to take responsibility for his own mate. And, can we not see that the weakness of the clergy before Vatican II LED to Vatican II? The crisis in leadership had hit the Church earlier than the feminist movement. Those who think that the priests who were ordained in the 1950s did not contain in their ranks those who wanted to protestantize and liberalize the Church should look at the members of the committees. I have had priests in their 80s tell me that they became priests in order to make the Church more protestant. They succeeded. The fact is that there was a leadership crisis in the Church from the 1930s, of those who wanted to have a Pan-Christian church. This ideal of false ecumenism came out of the fear of communism and fascism, but created a modernist mind-set which directly fed into the changes we see among Catholics today. Men controlled the Church in the 1930s, not women, and these men were modernists and followers of the heresy of Americanism. The rot had set in much earlier than 1960. Think again. If Adam had not accepted Eve's sin, there would be no Original Sin. Men, start taking responsibility for your own lack of manhood and stop blaming the Eves of this world. Adam's cowardice is the cowardice of all men who do not take responsibility for history.